‘The Hipster protein’, made from pressed and ground hemp seeds, Hemp Protein is the perfect vegan superfood with a tonne of extra anti-inflammatory benefits. Who should take Hemp Protein? Don’t practice yoga? No problem! 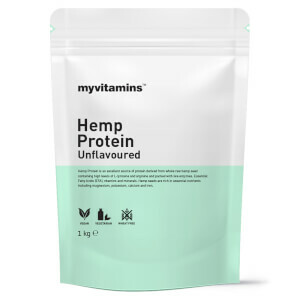 Hemp Protein Ideal for anyone looking to increase their protein intake; especially vegans, vegetarians and those with gluten or lactose intolerances. Why should I take Hemp Protein? Hemp has anti-inflammatory omega 3 and 6 fatty acids, including all 21 essential amino acids, usually difficult to source for a vegan or plan-based diet. With over 15g of protein per serving Hemp Protein is a perfect whey alternative. Combine with Pea Protein and water for a leucine-rich protein shake or add to brownies or flapjacks for a delicious post-gym pick-me-up. Why choose Myvitamins Proteins Range? Here at Myvitamins we are committed to being at the forefront of education, innovation, quality and community. The Myvitamins site is a one-stop-shop for all things health and wellbeing. Read the Myvitamins blog for articles, news, recipes and educational pieces explaining the benefits of our most popular products written by our nutritional experts here at HQ. You can always trust us to source the very best products, expertly sourced just for you.